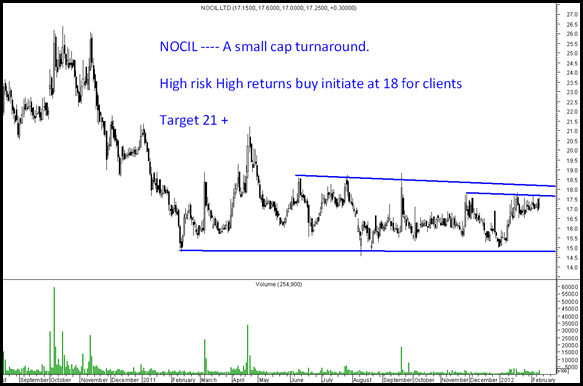 This is one small cap stock which we have just initiated a buy at 18 with an first target of 21. Will review further once it is done. A good clean breakout today with large volumes. Hope readers did benefit from the above reports and made some money. If you did do comment and pass this website to others. There is a facebook share button on every post as well as a retweet. 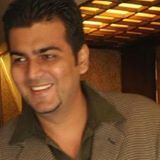 For more details contact Kazim 09821237002. 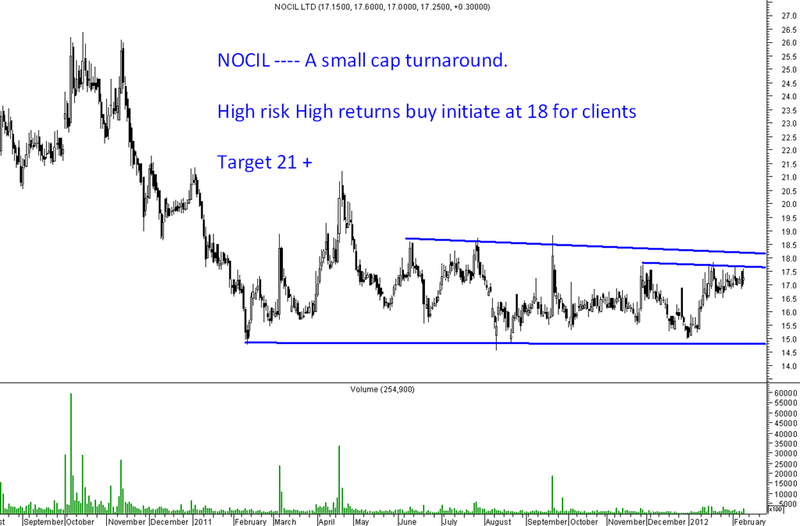 Joined the Nocil ride with you at 18.80.